Career Insight - Tony Swinney - Creative Retoucher at Mustard Post. Most people have heard the names of a few commercial photographers because some have become celebrities and elevated the profession of commercial photography above the unknown. Because of that, most people think commercial photography begins and ends with the photographer but in today's modern digital world there's another highly skilled professional who works very closely with the photographer to add another layer of polish to their images. Retouchers are the low-profile experts who nobody has heard of but are an essential part of the commercial photography process. In our interview we talk to Tony Swinney, a London-based retoucher who has worked on some very high-profile projects, including the Bentley Mulsanne 53 gigapixel promotion. In this first of two interviews Tony tells us about his career and the work of the retoucher. In the second, Tony tells us about retouching that huge image for Bentley. Following A-levels in both Art & Design, and Design Communication, I went on to an Art Foundation Course at Newcastle College. It is here that I discovered a love of taking photographs, and my intended career of graphic design, or perhaps architecture took a change of direction. I went on to study Photography full time at Newcastle College of Art. Can you describe your early career? 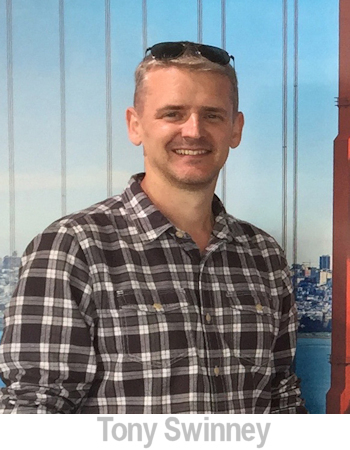 I moved to London from the North East of England, to work as a studio assistant at Malcolm Ryan Studios, now MRStudios. I had done a week's work experience at Malcolms, assisting a great car photographer called Jerry Oke whilst I was at college and fortunately Malcolm offered me a job. I assisted there for two years, working with many of the great car photographers of the nineties, it really was a fantastic way to see different photographers styles and techniques and to meet lots of people in the industry, many of which I am still friends with and collaborate with today. After about two years, Jerry Oke offered me the chance to become his full time second assistant which I snapped up eagerly. I worked for Jerry for 6 years, becoming his first assistant and then becoming his retoucher too. What led you to becoming your own boss? I like to be involved in jobs from the earliest stages of artistic ideas and layouts, right through to running the proofs, and delivering files. This would be very hard to do as an employed retoucher. I also like to be able to manage my own time, scheduling, quotations and invoicing aswell, which gives me flexibility to take on a variety of jobs. Why did you decide to specialise in post-production? I’d shot a few photography jobs as an experienced assistant, but quickly came to realise that I didn't like being directed in photography, much preferring to shoot what I wanted to shoot. At the same time I was getting more and more experience as a retoucher and picking up work for other photographers which I was very much enjoying. Fairly rapidly the post-production quota overtook the photography quota! I can't really say there is one, but generally its a mix of discussing upcoming projects with photographers, estimating jobs and of course retouching and overseeing retouching. I can also be overseeing CGI production for jobs and can be on location with a crew retouching on set. No two days are the same and I don't necessarily know in the morning how a day will end! Can you describe how you are involved in a commercial photography project from beginning to end? I prefer to be involved from the earliest stages of a job, discussing layouts with a photographer or art director. This allows me full understanding of the project ahead, and gives me the opportunity to give early input from a retouching and cgi point of view, all with a view to attaining the best possible end result. I often attend pre-production meetings, and can be on set during the shoot too, particularly if there is a tight turn-around time on the images. Being on set allows me to see the captures being made, and to offer input as to other elements that could be captured that may help build the image. Once we have approved selects from the agency we can start the retouching and/or CGI work, usually working closely with the photographer and then the art director and the client too. Once the composition of the image is in place, we work on the colour grading and that leads us to CMYK proofing for feedback, and usually a round or two of revisions, then approval and file delivery. How do you keep on top of editing styles? I keep an eye on advertising in the press and on posters, often going on to seek out the photographers via their, or their agents, websites. Also publications like Luerzer’s Archive, Campaign and Communication Arts are useful to see contemporary work. Why do you think creative agencies trust you with their projects? I am known for my high production values, which allows trust that we will deliver great work on time and on budget. Do you get to impose your creative style on your client’s imagery or are you always working to a brief? It very much depends on the brief. As I work alongside photographers most of the time, they usually have a pretty good idea of how they want their image to look, so we collaborate to make that happen between us, putting ideas together and trying new ‘looks’. What skills does a retoucher need to be successful? A keen eye for aesthetics, detail, visual balance and colour harmony. High production values are important and the ability to vocalise ideas and listen and understand a brief fully. You also need the ability to step away from an image, and come back to it with fresh eyes, even if it is only for a few minutes. Its amazing how you see things differently! Describe what you do to the image for that additional polish and impact. Our work on the images will generally involve comping in captures and elements, ensuring they sit naturally together and doing any clean up work that is required be it refining door gaps on cars, cleansing skin or tidying a location. Once at this point we get into the more creative aspect of the work, the colour grading to define the look and feel. This can include dodging, burning, adding vignettes or grads, sharpening etc. All with a view to improving the aesthetic of the image and usually to help focus on and refine the hero, be it a product or a person. Is there any piece of work that you are most proud and if so, why? 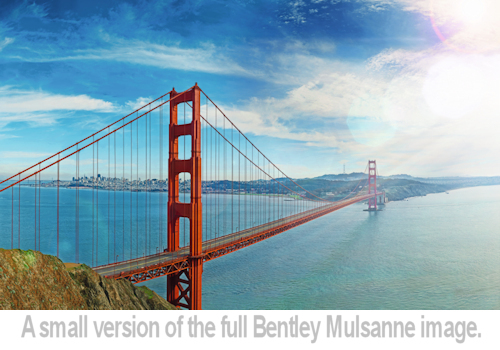 The Bentley Gigapixel image of the Goldengate Bridge for Keko London was a huge technical challenge, to build a 50+ billion pixel image that would allow the viewer to zoom in from the widest vista to the smallest detail of the stitches in the embroidered logo on the car seat. Not only did we have to work out how to make it work technically, we had to be sure that the image itself was also beautiful in its own right. There were many hours of research put into the project in advance of the shoot, alongside photographer Simon Stock. 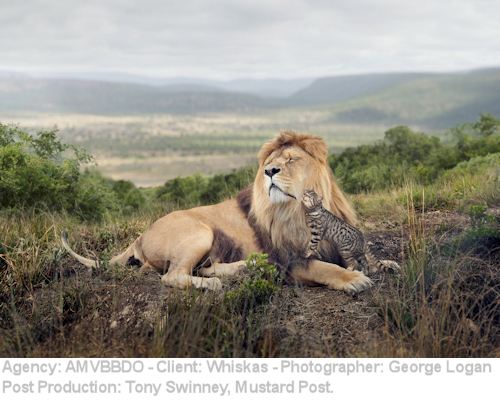 Another highly rewarding project was a Whiskas campaign for AMVBBDO London, shot by George Logan. The “Big Cats Little Cats” brief was one of those that occasionally come in and you just know it will make a really great campaign. It did and it was awarded internationally. "Show endless enthusiasm, willingness to help and learn." What do you see for the future of commercial photography and retouching? I see them working hand in hand to create stunning imagery. CGI comes into the equation too, as another tool to create amazing, memorable images. A good eye is still essential to create the best images, no matter how the source material is generated. CGI imagery is now indistinguishable from reality, how do you see CGI affecting your career? We have embraced it as another means of providing source imagery. Whilst I would always prefer our source imagery to be photographed, it is not always feasible and CGI provides a great alternative. If a car is not yet built, or cannot be transported to the desired location, a CGI can work very well, as long as the same rules and learnings are used in the building of the image as would be for photographed material. Lighting, shadows, reflections and perspective are key to making everything sit together naturally. If any of these are incorrect the viewers eye will not believe the image. Is there one piece of business advice you were given that you still apply today? Always retain high production values in everything you do. What advice do you have for anyone looking to make a career in photography and retouching? Work in photography and retouching studios as much as possible and for free if necessary! Show endless enthusiasm, willingness to help and learn and you will meet people who will give you your breaks in the future. We talk to commercial photographer Peter Dazeley who tells us about his career, photography projects and the future of the industry.